A 34-year-old Thai man has been sentenced to more than 13,000 years jail time for a Ponzi scheme. A court in Bangkok sentenced Pudit Kittithradilok to 13,275 years in prison for running a Ponzi scheme where he tricked 2,600 people out of 574 million baht (US$17 million), reported The Bangkok Post. However, due to limits in Thailand’s penal codes, it is expected that Phudit will probably serve 20 years in jail for the fraud and money laundering charges. He was arrested in August and was denied bail. 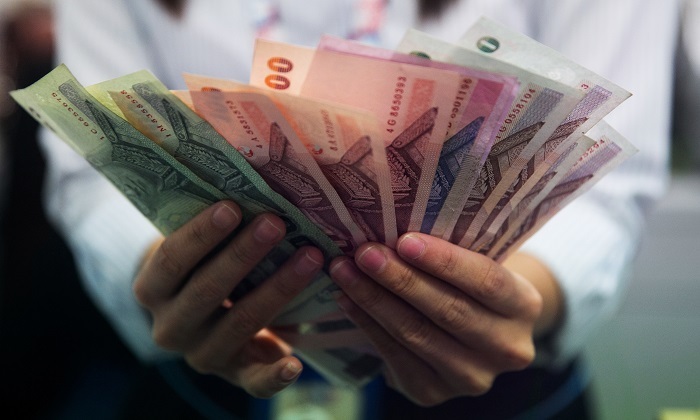 Public prosecutors said that Pudit and his companies held seminars where attendees were encouraged to invest in businesses that were said to be linked to industries such as foreign exchange, property development and beauty. The Bangkok Post reported that investors were promised substantial returns and more if they recruited others to join the scheme. As with any pyramid-type scheme, the new money would then be used to recompense earlier backers, reported the BBC. The court also fined Phudit’s two companies equal to US$20 million each. Pudit and his companies have further been ordered to repay what was taken from people with an added 7.5 percent interest per annum. One anti-Ponzi scheme activist told the Thai paper that Phudit and his company affected many more people than the 2,653 people who filed complaints. Activist Samart Jenchaijitwanich said that some 40,000 people took part in the Ponzi scheme and many of them will probably also file complaints. Ponzi schemes that dupe people out of their money are not an uncommon hazard in Thailand. One of the more notorious cases involved oil trading that was closed down in 1985 and resulted in a woman being sentenced to 154,005 years prison. However, she ended up serving less than ten, reported The Bangkok Post.